We are committed to delivering superior, cost-effective solutions that work for our customers. For high lift pumping systems in Ohio, Kentucky and beyond, we offer medium and high head, solids-handling pumps that can run dry indefinitely with no damage. This makes them ideal for many of the everyday needs faced by quarries, mines, contractors and municipalities on projects with too much head for our high volume self-priming pumps. 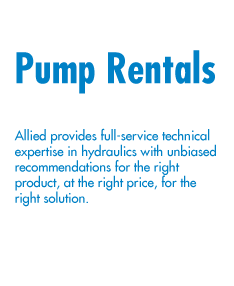 Allied’s high lift pump sales and rental services are sure to make your job easier. Quarries and Mines: Dig hole, and water will find it, right? Our self-priming high pressure pumps can move that water back to where it belongs in a hurry. 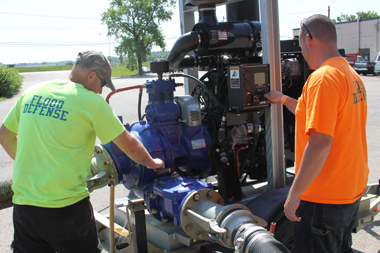 Temporary Fire Pumps: All fire pumps eventually need maintenance. We can provide a customized solution to protect your facility while the fire pump is down for needed care. Lift Station Bypasses: Our pumps are perfect as temporary replacements while the permanent electric pumps are out for service. Don’t risk a spill!